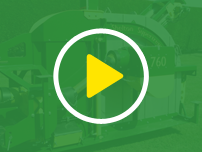 The Shelton Hi-Lift trailer is ideal for collecting excavated soil from Supertrenchers, and filling secondary hoppers, gravel band drainers and spreaders with aggregate materials. 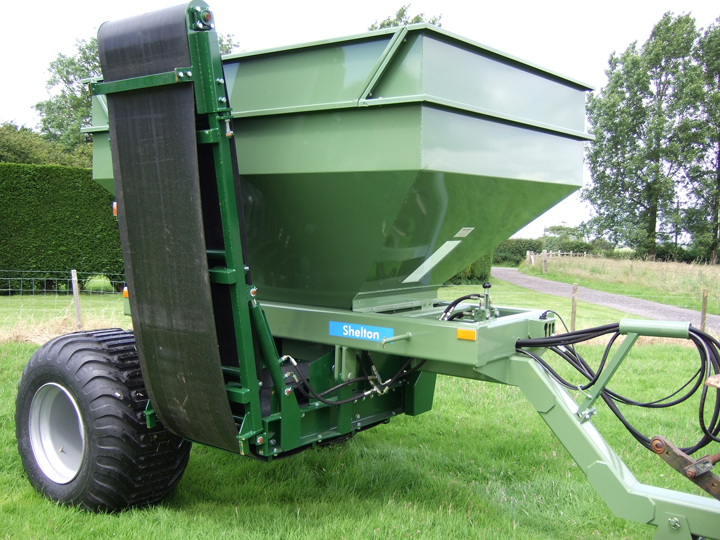 The Hi-Lift trailer has a 5 tonne capacity and can lift up to a height of 2 metres for loading hoppers and spreaders. The trailer also features removable deflectors inside the body of the trailer to improve the flow of materials through the exit. 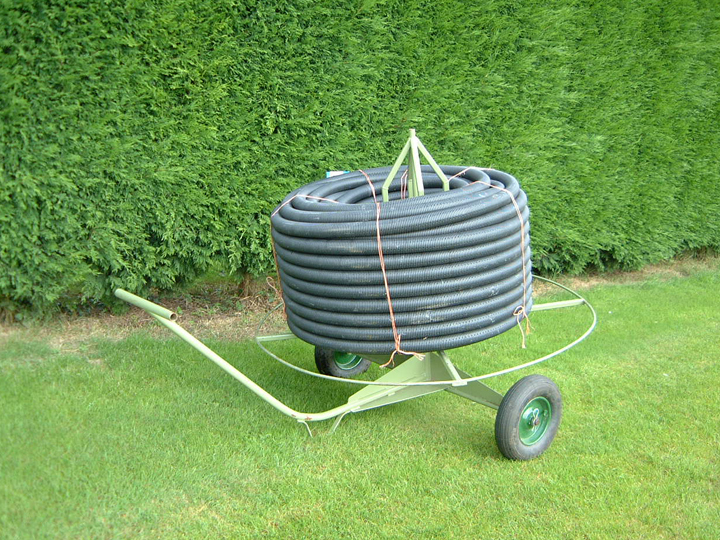 The Hi-Lift trailer needs only 40hp+ tractor and coupled with its four low ground pressure turf tyres, on two rigid axles is designed to protect fine turf and so can work alongside your Supertrencher, hopper, spreader or gravel band drainer. The Hi-Lift trailer’s high build quality incorporates full road lighting to EC legislation with side reflectors, road brakes and a parking brake. 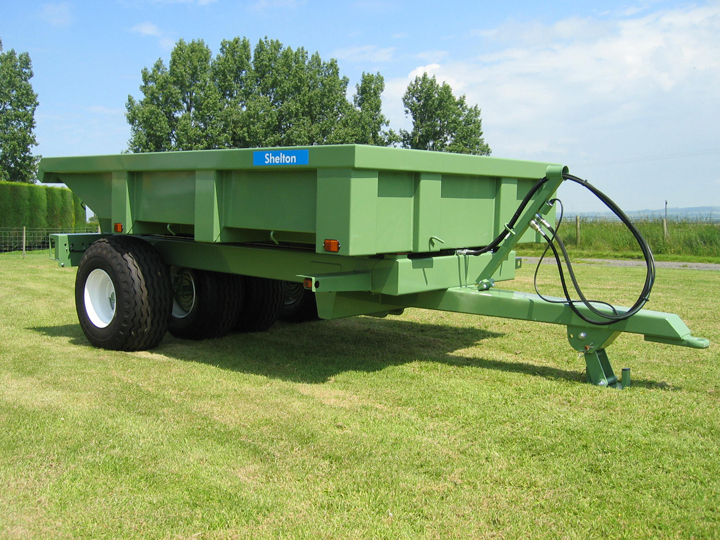 The Hi-Lift trailer can be quickly converted into a flat bed trailer as the sides are easily removed.